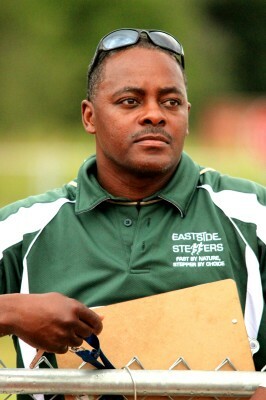 Coach Tim Taylor formed the Eastside Steppers Track Club in 1991, but began his coaching career at Frederick A. Douglass High School in Oklahoma City. Playing football and running on the Douglass track team, he took the state championship in the 200-meter sprint, was the runner-up in the 100-meter, and was named as a High School All-American from his performance on the school's 4 x 400 relay team. Attending Southwestern College, where he majored in health and physical education, Taylor still holds the school record in the 100-meter, along with being named as all-conference and all-district in the 100-m, 200-m, and the 4 x 400 relay. He was also a college all-American in the 4 x 400 relay and 200-meter sprint. Taylor is originally from Midwest City, Oklahoma. 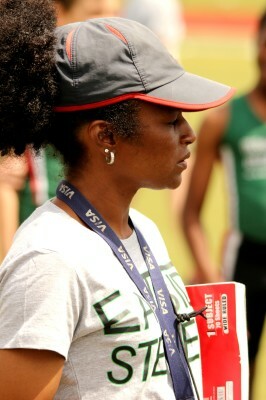 Coach Keitha Wyatt began her coaching career in Maryland, coaching at both Largo High School and finishing at C. H. Flowers High School prior to relocating to Oklahoma. She attended Towson University as a scholarship athlete from 1994 through 1998, where she competed in middle distance events 800m-1500m and relays. Wyatt continued her education at Howard University from 1998 to 2000, to pursue a master’s degree in social work while also beginning her coaching career. Next, she became an assistant coach at Morgan State University, from 2000-2001, specializing in distance and cross-country, while broadening her knowledge in combined events. She has coached an abundance of Junior Olympic All-Americans in events ranging from the high jump; 400m to 5000m; and multiple relays. In Oklahoma City, she coached at Frederick A. Douglass High School from 2007-2013 where the women’s cross country team made school history finishing as All City Champions or runner-up for more than 5 years consecutively. 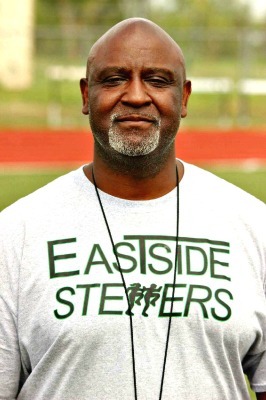 Coach J. David Love II aka “Coach Love” has worked as a sprint and relay coach (4 x 100 & 4 x 400) with the Eastside Steppers for the past 22 years. 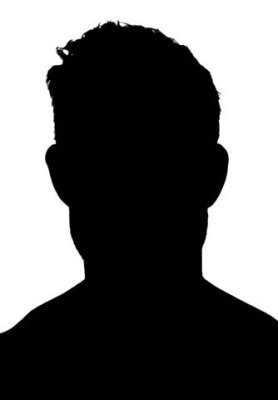 He has coached two Junior Olympic National Champions and numerous Junior Olympic All–Americans. Love served as a volunteer coach at Oklahoma City’s Northeast High School from 1999 to 2004, when the school took two girl’s state championships in 2003 and 2004, and one state runner-up girl’s championship in 2002. He also coached at Millwood Junior High School, Oklahoma City, from 1997 to 1999, taking the middle school girl’s all-city championships for all three years. Coach Vince Walter is a 1988 graduate of Oklahoma City's John Marshall High School, playing football and also running on the track team under the guidance of Coach Clyde Ellis. A state qualifier in the both the 100 and 300-meter hurdles in high school, Walter then attended and graduated from Langston University, earning a bachelor of science degree in secondary education and health education. At Langston, he was a three-year letterman in track and field. 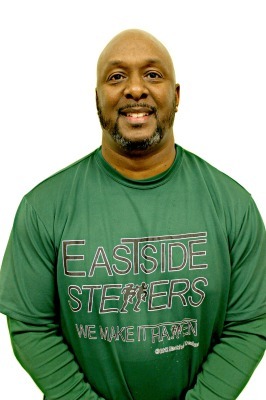 Coach Walter has been coaching hurdlers for the Eastside Steppers since 2011 and is a married father of four children, three of whom run on the Steppers team. 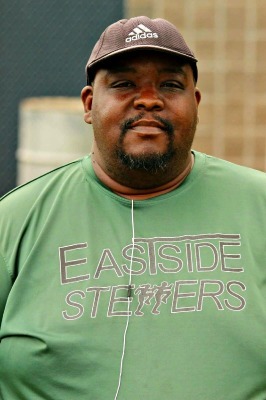 He is also a member of Kappa Alpha Psi Fraternity, Inc.
Coach Kevin D. Jackson, Sr. has been with the Eastside Steppers for eight years, where he coached the 2011 Junior Olympics, Bantam boy’s division, 6th place, 4 x 100 relay champions and the 7th place champions in the 4 x 400. He also coached the 2013 National Junior Olympic 5th place, 11-12-year old boys, 4 x 400 relay winners. Over the past years, Jackson has also coached numerous association and regional champions. He is a 1990 graduate of Star Spencer High School (Spencer, OK) where he was a baseball all-American. He played one year of baseball at Rose State Junior College (1991) and another season at Southern University (1992). Coach Kambre Major was an Eastside athlete for 13 years and has now been the shotput, disc, and javalin throwing coach for two years. She graduated from Millwood High School in 2014 and was four sport athlete: track, softball, basketball and volleyball. In 2013 and 2014 Major competed for Millwood High School at the shot put in Oklahoma's state meet finishing as the state's runner up which helped lead Millwood to its first ever state title in track and field. During her tenure as an Eastside Stepper she acconplished being a 7 time National All-American for the shot put under USATF. Coach Major considers her volunteer work with the Stepper's as as her chance to give back to her community. She stated " I want to help our youth to strive to be better athletes and people in society. I had little coaching or guidance as an athlete, so I strive to be the coach for my athletes that I never had." Coach Kambre Major is now attending Missouri Baptist University where she is studies Biology.